Children are often picky eaters, but for kids on the autism spectrum or with sensory issues, trying new foods can be especially challenging. In Nope! Never! Not for Me! 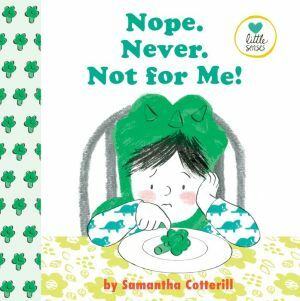 a young child refuses to try a bite of broccoli--that is, until her mom guides her through a careful exploration of the new food. First she looks, then she sniffs, then touches, and finally takes one tiny bite. What do you know? Broccoli isn't so overwhelming after all!